With the Finance Navigator, we have been so lucky to experience accelerators from two perspectives: the management side as well as the participant side. As we are one of the living examples of the value of an accelerator, we have written down four reasons why it can be extremely useful for a startup to join one. HighTechXL (focusing on high-tech hardware startups), PortXL (dealing with port technology) and Smart Materials (nowadays Brightlands Accelerate: advanced materials, health, smart services and food innovation) are all accelerators co-founded by EY here in the Netherlands. 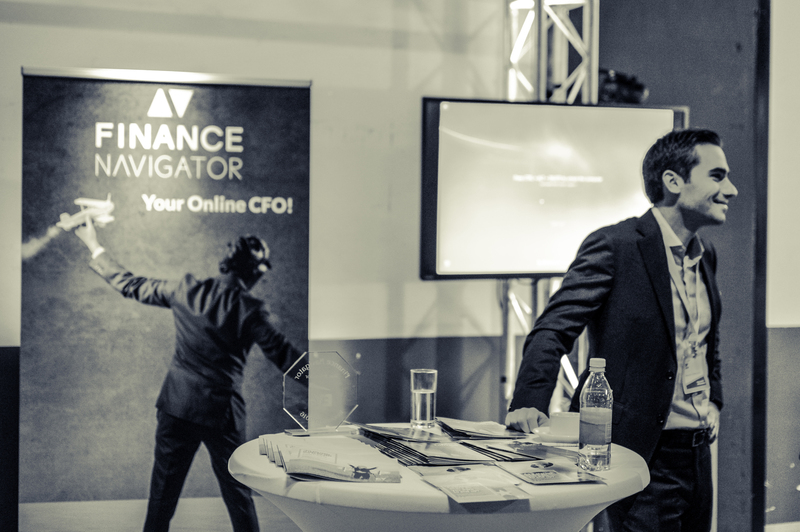 The Finance Navigator team, being part of EY, has been involved with coaching the participating startups, running the financial management, organizing (pitch) events and Demo Days and, obviously, helping the startups get their financial model in place. However, we have also been part of EY’s corporate innovation program allowing us to participate in the HighTechXL program for three months, which has been a hell of a ride! Check out four reasons why your startup might also want to consider joining an accelerator! ‍Part of HighTechXL’s management: providing a financial planning workshop for the participating startups. It didn’t matter whether we were working for the accelerator management or participating in the accelerator corporate program. What we’ve always loved was the vibe, the energy, the flow you’re in while the program is running. Ten startups, all together in one big room and all part of a highly-intensive program. While at some moments it can drive you nuts, we cannot deny in general the energy level is extremely high. You’re all in it together, you all experience the competition, the success and the extreme highs, but also the ‘close-to-burn-out’ lows. Being part of such a group makes you and your team rise above yourselves making you able to achieve things you’d never thought you’d achieve before. Before joining the accelerator we’d never expected that in only three months we would sign up over 40 clients, get published in the media several times, and secure the budget needed to develop and launch the Finance Navigator. As you’ll notice, all the accelerators mentioned above in the introduction have their own focus area. Most of the times an accelerator will have its own niche, ranging from web&app, cleantech, and sports technology to food-and fintech. Man ... at some point there has even been a Red Bull Music Tech Accelerator! Obviously, accelerators with focus are better able to help you grow your business considering the fact they know the industry. But what’s even more important is that a good accelerator will also have a proper network in its niche. That means customers, suppliers, and relevant investors are all part of the deal! If you look at HighTechXL for instance, the program can easily link you to companies such as Philips, ASML, NXP, Eindhoven University, Get in the Ring, investment company Brabantse Ontwikkelings Maatschappij and Leapfunder. Moreover, over 150 potential customers, suppliers and investors are at walking distance with HTXL’s office at Eindhoven’s High Tech Campus! It’s not that we’re biased or anything. And by guidance we don’t only mean the 1-on-1 support you will get to improve your customer validation strategy, to write your investor memorandum, to perform a killer pitch, to increase customer traction, to build your brand and online/social media presence, and most of all: to stay motivated when things don’t go as smoothly as planned. No, by guidance we especially mean the structure a good program provides you. The end of the program should have a clear objective which allows deliverables/goals to be set during the program. Clear deliverables that are defined per week will drive a mild form of competition between the participating startups and gets you into the execution mode that is needed to truly be "accelerated." Getting used to this way of working (i.e. execution-oriented with short-term deliverables and long-term goals) will also greatly benefit you when you are graduated from the program. This is the most intense and, if organised correctly, also the most fun event of an accelerator. After months of blood, sweat and tears, of working your asses off to build your business case and practicing your pitch and stage performance over and over and over again, you’re allowed to enter the stage and pitch in front of an audience which contains, in case of a good accelerator, a big chunk of investors. With the Finance Navigator we were so lucky we were allowed to pitch at two Demo Days: Innovate EY’s Demo Day (corporate accelerator) as well as the HighTechXL Demo Day (regular accelerator). The results? We reached more than 1000 people at once, pitched to the EY Netherlands board, managed to secure the budget from EY needed to build and launch the Finance Navigator, acquired several new customers, signed up a pilot project with an investment company AND we had one of the best after-parties of our lives. In short: we chose to join and accelerator and have never regretted the decision. Now what do you chose? Wanna know more about the accelerators mentioned in this blog or are you interested in joining one? Feel free to reach out to us (thefinancenavigator@nl.ey.com). We can share our experience and connect you to the right people. Ready for the next level? At HighTechXL we've been working with startups for the past three years supporting them to build their businesses. Find out here how we can help you take your startup to the next level, either through acceleration or growth.